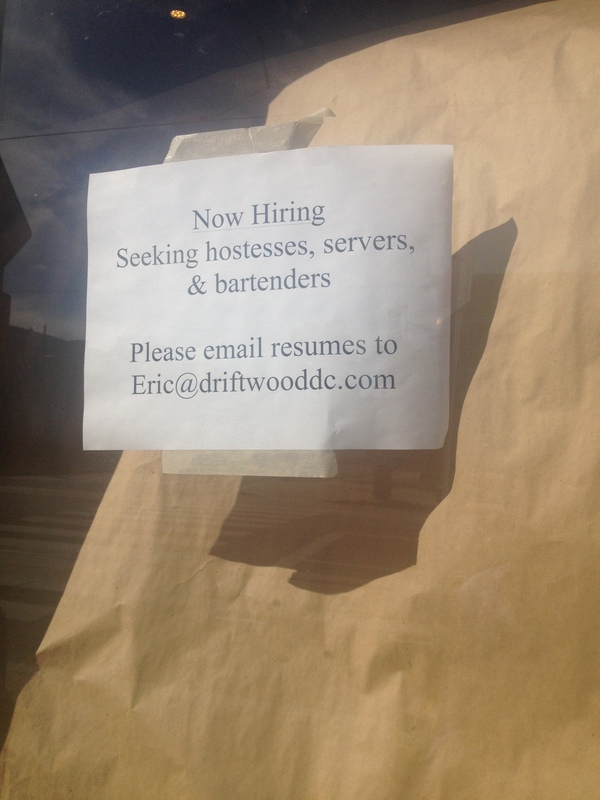 Driftwood Kitchen Hiring, Opening Soon? Driftwood Kitchen (400 H Street, NE) has spent the past several months renovating the space previously occupied by the controversial Tru Orleans. They have now posted a sign indicating that they are hiring, meaning that they are likely only a few weeks away from opening. More details as we get them.